Foods That Are Great for Diabetic Neuropathy - Piedmont Physical Medicine & Rehabilitation, P.A. 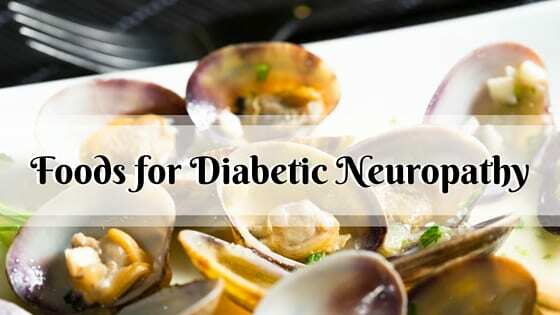 One of the best and natural ways to help your diabetic neuropathy is through the foods you eat. Filling your diet with foods rich in phytonutrients, omega 3 fatty acids, whole grains, vitamin B-12 and lipoid acid will help with proper nerve functions. So the more conscious you are of what you put into your body, the more aware you’ll be of how it affects your body. Don’t worry, we’re not advising you to reinvent your diet, nor are we going to list what offers the most benefits (because all foods are great for different reasons! ), we simply want to shed light on how helpful some common foods can be, and what you should be incorporating more of into your diet. Phytonutrients, or phytochemicals, are natural compounds found in plants that help them maintain proper health — protecting them against germs and other external threats. The benefits that phytonutrients give to plants translates over to humans as well. Full of antioxidants and anti-inflammatory properties, these pigment rich foods (which phytonutrients are distinguishable by) protect our cardiovascular and nervous system. They also boost our immune system and maintain our hormones. Dish Idea: If you love Asian-styled meals, then this is a great way to incorporate phytonutrients. Put together a stir-fry that uses some of these foods along with brown rice or noodles, and even tofu. You’ve heard how omega 3 fatty acids are the “good” type of fat, right? Well it’s true! Your body doesn’t naturally make omega 3, so we have to look for other sources to obtain it. Your body needs omega 3 eicosapentaenoic acid (EPA) and docosahexaenoic acid (DHA) for proper development involving your vision, brain and nervous system. It helps your body in ways like reducing blood pressure and homocysteine levels (reducing the risk of heart and blood vessel disease). The foods most rich in omega 3 are fish. Dish Idea: Mackerel isn’t as commonly used as other fish varieties, which is a shame because it’s inexpensive and has a lovely taste. A nice way to prepare a mackerel dish is by roasting it with olive oil, garlic, salt and paprika. Whole grains are abundant source of essential nutrients such as protein, iron, fibre, magnesium, phosphorus, zinc, copper and vitamins. They typically contain low levels of fat and keep you fuller longer. Complex sugars within whole grains stabilize blood sugar and promote brain development — which means all good things for your diabetic neuropathy. Dish Idea: You can do so much with whole grains — from light meals, to snacks, to a full dish. Using quinoa, brown rice or couscous to make a tossed bowl is as easy as 1-2-3. Try baked chicken thighs with brown rice! Vitamin B-12 is an essential part of nerve and red blood cell development. Although the vitamin B family is a large component in maintaining a healthy nervous system, B-12 is the one micronutrient to key in on. It is an integral part in creating the myelin sheath that encapsulates nerve fibres. Vitamin B-12 can only be obtained from animal products, so it’s something to be mindful of for vegetarians and vegans. Dish Idea: We’ll leave the liver and kidney for more adventurous goers; how about you make a whole wheat linguine dish with herb broth and clams? This potent antioxidant has serval unique properties that promote healthy blood sugar levels. Lipoic acid neutralizes free radicals (which damage healthy tissue) which reduces oxidative stress (the imbalance of free radicals and the body’s ability to fight them). In simpler words, lipoic acid is beneficial to those with diabetes because it combats free radicals. Although lipoic acid is found in several foods, it isn’t a compound that is found in abundance. Lipoic acid supplements can be another source to turn to. Dish Idea: It’s not everyone’s favorite food, but roasted brussel sprouts can taste delicious with a maple-glazed salmon. These common foods are ones that you should be incorporating into your diet more. Not only does it help your diabetes and neuropathy, but they are all great contributors to maintaining a healthy lifestyle. Another few tips to consider for your diet include choosing lean protein meats, avoiding foods with saturated fat (look for monounsaturated or polyunsaturated instead! ), avoiding fried food and limiting your alcohol intake. When it comes to your diet, it’s simply about finding a balance and making better choices.